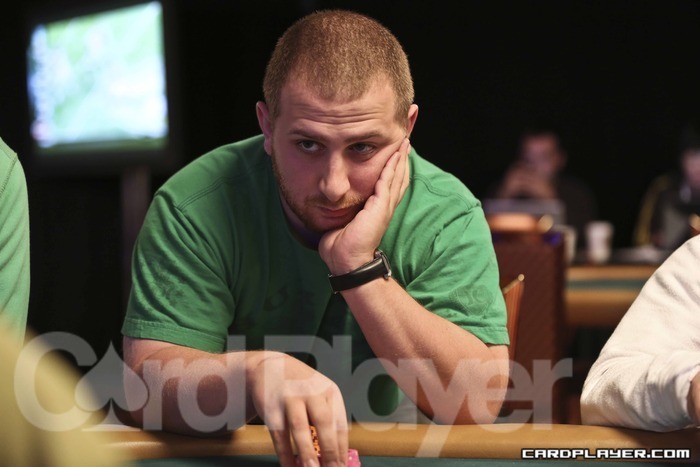 Ayman Qutami opened the pot for 60,000 from middle position and Andrew Prock called from the big blind. The flop came Q 10 7 , Qutami bet 30,000, Prock raised to 60,000 and Qutami called. The turn was the 3 , Qutami bet all in and Prock called. Qutami was all in on the turn for his tournament life with Q J for top pair against Prock’s Q 6 for top pair with a weaker kicker. 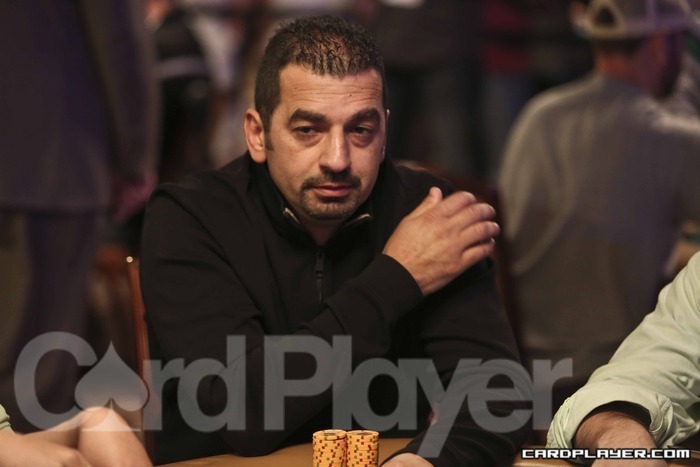 The river was the 6 , pairing Prock’s kicker to give him win the pot and eliminate Ayman Qutami in 9th place ($19,395). Prock moved up to about 745,000 that hand. Andrew Prock opened the cutoff for 60,000 and Nicholas Derke called from the button. The flop came 9 7 7 , Prock checked, Derke bet 30,000 and Prock called. The turn was the K , Prock checked, Derke bet 60,000, Prock raised to 120,000 and Derke called all in. Derke was all in on the turn with K J for top pair but was still behind Prock’s A K .
The river was the Q , and Nicholas Derke was eliminated in 8th place ($24,139). The remaining 7 players took a one hour dinner break at the conclusion of Level 23 and will return at approximate 9:15pm local time to resume play. The final table of Event no. 20 ($5,000 Limit Hold’em) is now underway, and Card Player will be posting level-by-level updates with all of the action, current chip counts, and prize distributions. Day 3 began with 17 players spread out over two tables, and with the elimination of Samuel Golbuff in 10th Place ($15,830), the official 9-handed final table is now set. Play will begin in Level 22 with blinds of 12,000-24,000 and will continue until a winner is determined.